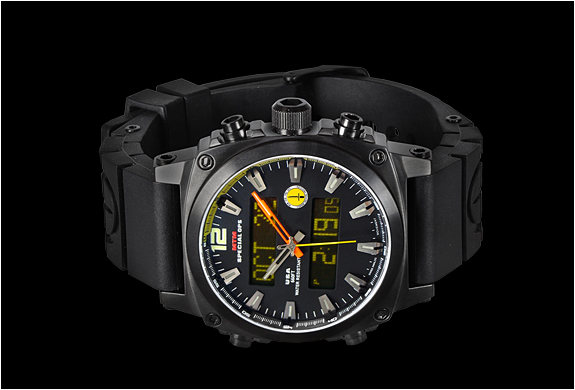 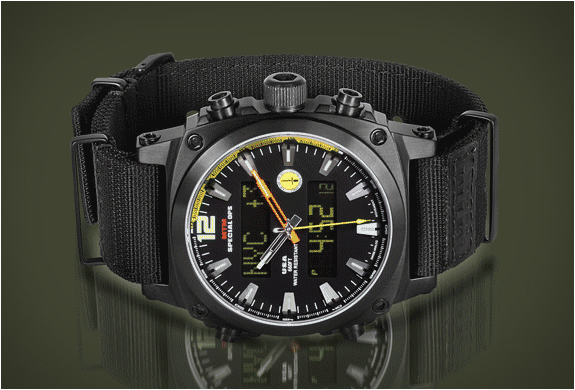 We recently discovered MTM Special Ops, a watch brand specialized in the field of military and tactical timepieces. 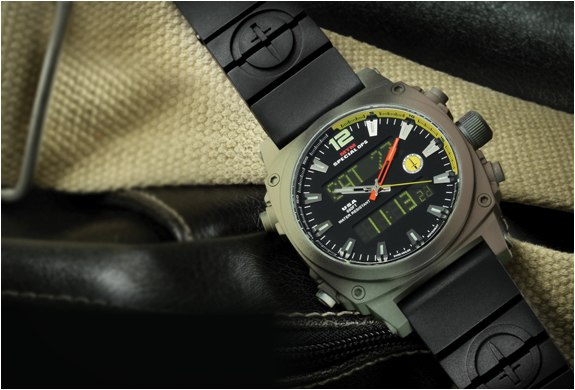 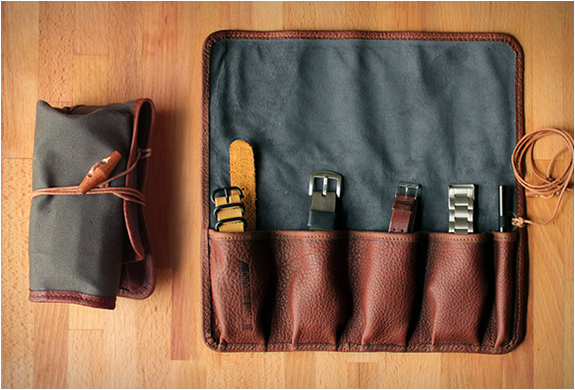 Our pick from their collection is the Air Stryk Model, a rugged durable watch that offers valuable and unique functions. 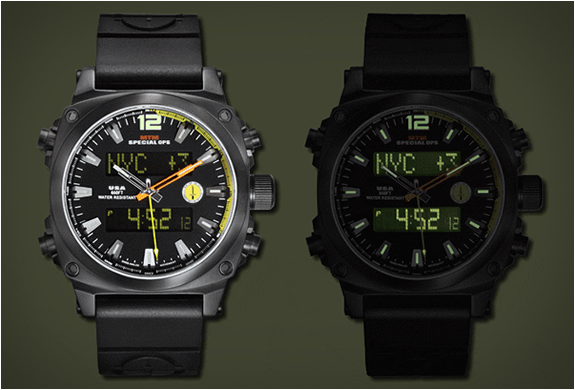 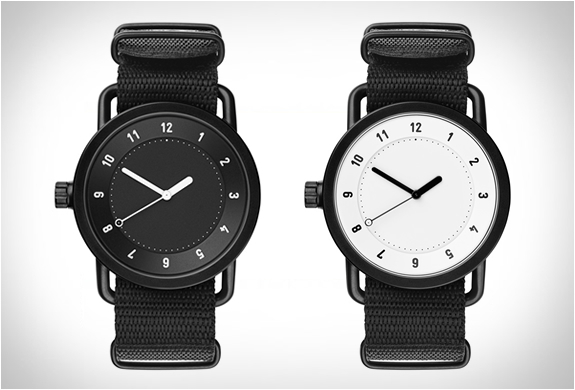 Besides bold, easy to read under all conditions, analog hands, the Air Stryk incorporates a global GMT world-time function along with 5 daily digital alarms, chronograph mode, countdown timer and 24 hour/ military time ... All displayed in the two electro-luminescent, backlit display windows. 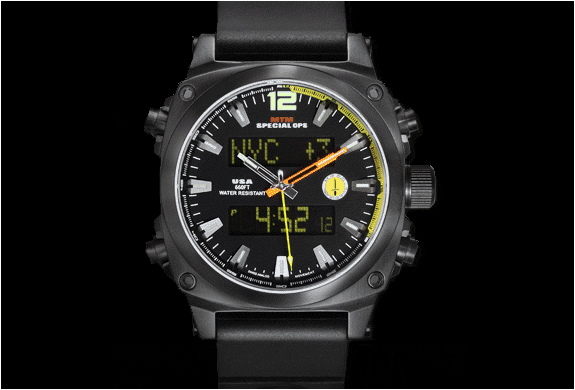 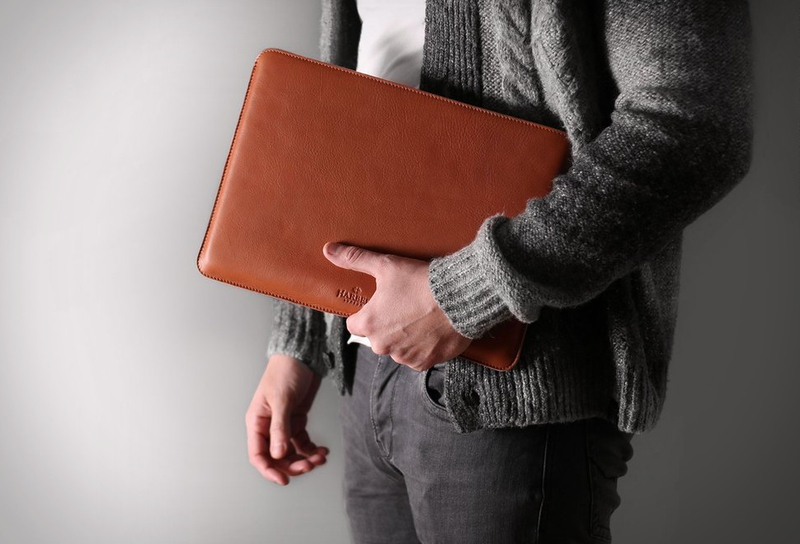 It is water resistant to 660feet/200meters.